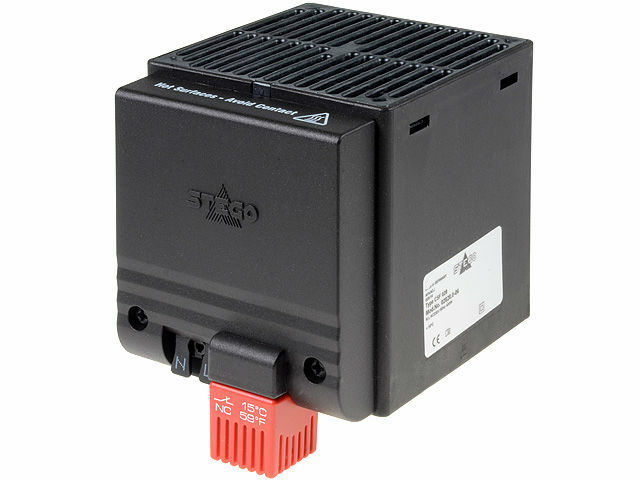 A compact semiconductor heater prevents creation of water vapour condensate and maintains a minimum temperature in a cabinet or enclosure with electronic components. Safe to the touch enclosure and small dimensions make it an ideal solution for applications in cabinets with high density of components. The CSF 028 heater is equipped with a manufacturer set thermostat connected by means of external terminals . The device is available in two mounting versions: screw or bus type. High resistant screw mounting with a strengthening flange is particularly recommended for applications subject to vibrations.